It's the last full month of summer and we are not going to let these days slip by without taking full advantage of the sunshine and gorgeous produce! Sign up for a cooking class to freshen up your summer menus, learn how to can with Chef Kelly, and stop by Glen Ellyn's French Market each Sunday to fill up your totes with summer goodies, including cheese and baguettes from Marché. If your favorite way to stay cool is with a frozen treat, don't forget to swing by our Ice Cream Social! Other local events to pencil in are the Festival of the Arts and early September's Sounds on the Street. 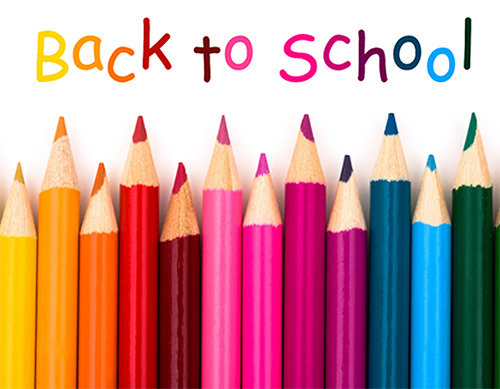 August also ushers in the start of a new school year. Support your favorite school with our 2nd annual Back to School PTA Fundraiser. 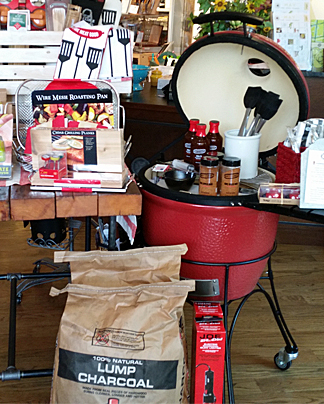 PS - Did we mention our fab Kamado Joe Sale? What better way to tame the August heat than with ice cream? 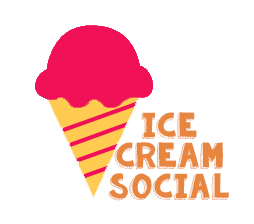 Swing by for our Ice Cream Social. We will be scooping uniquely fabulous flavors that you can customize with an array of our favorite toppings. 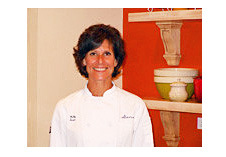 You won't want to pass up Maureen's handcrafted flavors featuring artisan goat cheese & ricotta from Marché! 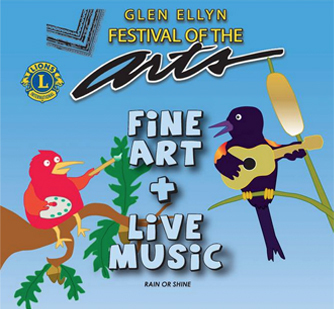 Plan on spending part of your weekend at the 47th Annual Festival of the Arts sponsored by the Glen Ellyn Lions Club. Juried artists will display their wares along the picturesque paths that wind through the oak trees at Lake Ellyn. Admission is free and everyone is welcome to enjoy this rain or shine annual event. Food, music and fun for the entire family! Celebrate late summer in Downtown Glen Ellyn at Sounds on the Street. Come out with your family and friends for a free live concert on Main Street and sample the great tastes of Glen Ellyn from participating restaurants. From August 15th through August 31st, Marcel’s will donate 10% of your purchase at Marcel’s or Marché to the P.T.A. at your school of choice. It's super simple -- when you are checking out, give us the name of your school and at the beginning of September, we'll tally up all the sales and send your school's PTA or equivalent organization a check! Share this with your friends so you can raise as much money as possible for your school! 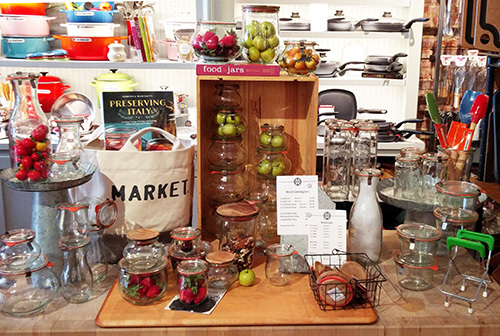 Stop by the store to check out our tools and accessories to preserve the fresh and abundant bounty of the end of summer. Fagor Pressure Cookers, Weck Jars, Cookbooks & More! Better yet, spend a Sunday afternoon with Chef Kelly Sears at her oft-requested and information-packed workshop on pickles, preserves & chutneys! "Eat what you Can, Can What You Can't"
The philosophy is to honor the seasons, the local land, and its farmers by sharing the craft of creating and cooking with pickles, preserves, and chutneys. This workshop will feature pickling and preserving via water bath canning to preserve the season. A light meal created from our recipes will be served. We have done some serious grilling research and there are so many reasons why the only grill we carry is the Kamado Joe! Get ready to not only grill, but smoke, slow cook pork roasts, sear steaks and bake pizzas! Just like gifts, sometimes the best bites come in small packages. From tacos to bar snacks, Chef Paul has comprised his favorite small plates from local area restaurants. They may be small in size, but they deliver big on flavor. Amazing what can happen when you combine flour, water and salt and roll it into dough. Flatbread originated in Ancient Egypt when it was discovered that edible grains could be mashed into a paste and then baked or hardened into a flatbread. In modern day, these chewy-crisp flatbreads are just right for drizzling with chile oil and an herb sauce or wrapping around a grilled meat. Use this quick no rise master recipe to create an elegant appetizer or a hearty meal. Summer's screeching halt is right around the corner; homework, sports, carpools, early mornings and late nights are lurking. Celebrate August's end with peak produce inspiring peak flavors. Hold on to the summer cooking philosophy - fun, fresh, easy - just a little longer with this simple, delicious, farmer's market driven meal.